» Will the Infinite Worlds of ‘No Man’s Sky’ Revolutionize Gaming? Will the Infinite Worlds of ‘No Man’s Sky’ Revolutionize Gaming? Since the very beginning, video games have aimed for the stars. In 1971, Computer Space, the first publicly available coin-operated video game, hit pinball arcades, bars, and college campuses around America. 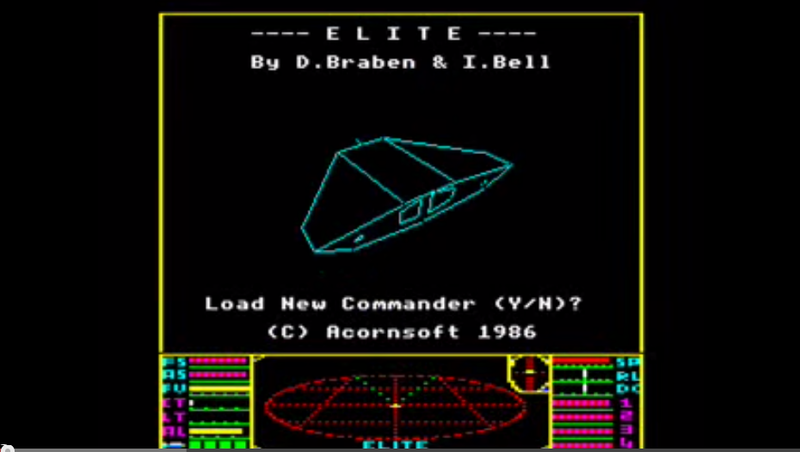 Designed by Nolan Bushnell and Ted Dabney (both of whom would go on to found Atari), the game put players in control of a small rocket ship maneuvering in outer space and tasked with destroying ​hostile alien spacecraft. 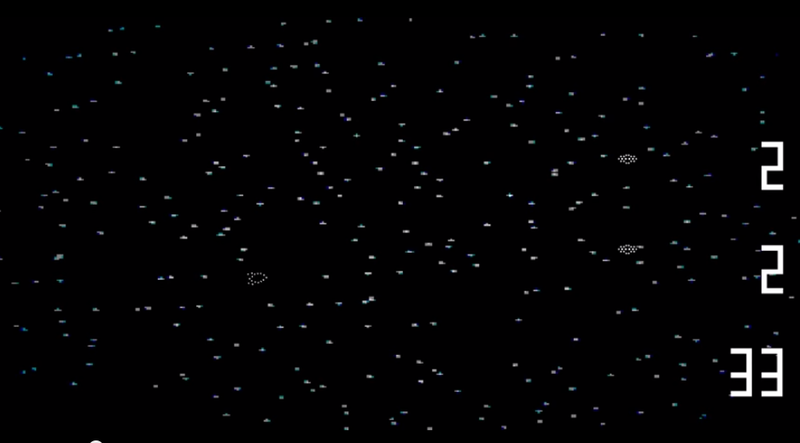 The graphics consisted of white lines and pinprick pixel stars on a black background, switching to black lines on a white background if the player outscored the aliens after one 90-second round. The game was housed in a freckle-sparkled fiberglass cabinet with rounded edges, like a bowling ball crossed with a prop out of the movie Barbarella. Computer Space featured a four-button control scheme — thrust, rotate right, rotate left, and fire missiles — that was apparently too complicated for our acid-tripping baby boomer forerunners, and so, just like Barbarella, Computer Space flopped. Fast-forward 40-plus years: our cell phones make the integrated circuitry of Computer Space look like the technological gap between a sharpened stick and a nuclear missile, next-gen video-game consoles are more powerful than the Apollo 11 Lunar Module’s guidance computer, and a small British game-development company is getting ready to launch us back into outer space. Hello Games, based in Guildford, England, a town with a population of about 137,000 roughly midway between London and Portsmouth on the A3 highway, employs fewer than a dozen people and was founded by Sean Murray, Ryan Doyle, David Ream, and Grant Duncan, four friends as well as veterans, to differing degrees, of the video-game industry at companies like Criterion (the Need for Speed series) and Sumo Digital (Virtua Tennis 3). Gradually becoming frustrated with the way the larger, more corporate structure of their rapidly expanding ​workplaces​ ossified creative freedom, the four struck out on their own in 2008. In June 2010, Hello Games released its first title, Joe Danger, a colorful side-scroller broadly reminiscent of Nintendo’s mid-’80s cartridge classic Excitebike, launched on PlayStation 3’s online store. Hello Games recouped its developmental costs in half a day. Two sequels and an expansion to Xbox and mobile platforms followed, all successes. The financial stability afforded by the Joe Danger series allowed Hello Games to develop its next, as of yet unreleased game, the ambitious-beyond-all-reckoning No Man’s Sky, a title that just might revolutionize gaming. If, that is, the gameplay can at all live up to the company’s vision. In ‘No Man’s Sky,’ all these worlds are yours, even Europa. The conceptual leap from Joe Danger to No Man’s Sky is astounding. Joe Danger is a game in which the titular Joe rides his 360-cc dirt bike over and above various motocross obstacles, scoring points by collecting floating stars. No Man’s Sky seeks to launch the player into the stars, to explore a universe measured in light-years — actual light-years! — full of explorable planets, themselves inhabited by all manner of undiscovered alien flora and fauna. It works like this: Hello’s design team writes code for, say, a horselike animal, and then the AI uses that code as a template to create a variety of similar-looking animals of varied size, shape, and color. Think of it as a computer approximating the way members of a given species look different on an individual level but are always recognizable as being the same kind of animal. Then they scale that process up to create whole species of plants and animals inhabiting entire procedurally generated landscapes on procedurally generated planets in a procedurally generated solar system nestled somewhere in a vast procedurally generated galaxy within an entire procedurally generated universe. Imagine that and you may begin to understand why people are so excited about what Hello Games just might be able to accomplish. 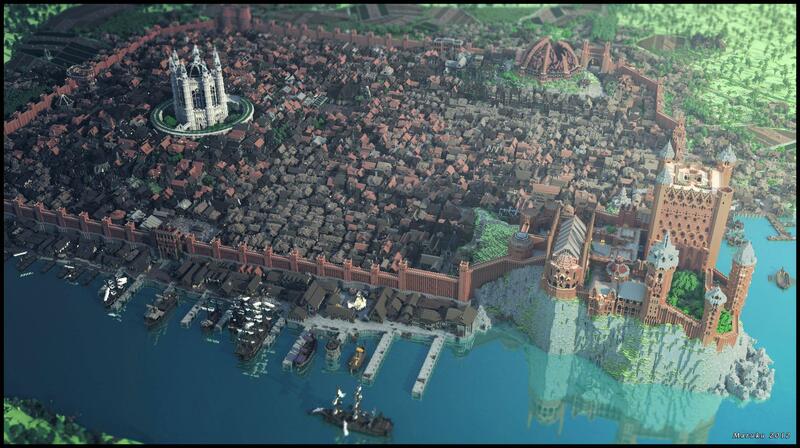 This method of world creation means the game contains things that no one — not even the game’s creators — has ever seen. “Recently we were demoing the game to some press … and one of the journalists secretly grabbed the controller and started to play,” Hello Games founder and No Man’s Sky programmer Sean Murray told me over email. “He kept turning to us saying things like, ‘If I follow this river, what’s down there?’ and we were like ‘I genuinely don’t know.’ You could feel this buzz as everyone watched, like literally we don’t know what’s out there and we’re just watching someone explore a whole planet that no one has ever visited before. Minecraft, released in 2011 and now available on every gaming platform from PCs to mobile phones, puts the player in the middle of a gigantic procedurally generated landscape that can be mined for resources that the player can use to craft literally anything, from swords, chairs, a shot-for-shot remake of Star Wars: Episode IV, and King’s Landing from Game of Thrones. 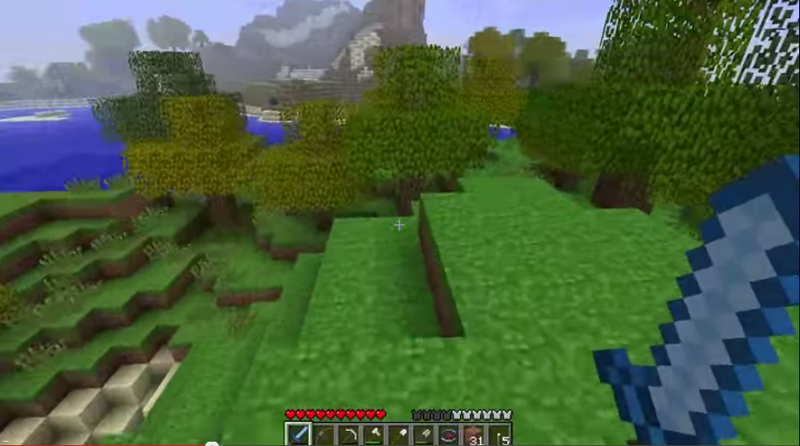 Almost three years ago, a man who calls himself Kurt J. Mac reached peak nerdom by quitting his job to document his virtual trek across the world of Minecraft to the fabled “Far Lands,” the place at the edge of the game map where the bugs in the algorithms undergirding the landscape show up in the game’s graphics. It will take him an estimated 22 years to complete the journey, at which point I imagine he’ll have to take stock of just what went wrong in his life. The differences between the thrust of previous open-world games, even one as improvisationally free-form and vast as Minecraft, and the creative ambitions behind No Man’s Sky is simply a question of scale. If Hello Games succeeds in creating what it envisions, No Man’s Sky will embody themes from gaming’s past and present while blasting the form into the far-flung infinite future. 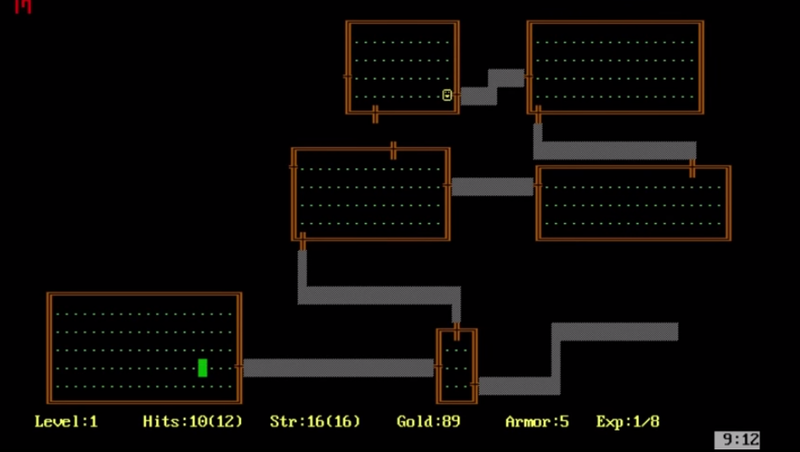 For instance, the game includes some form of a multiplayer element, with players sharing the same unexplored universe, a fairly quotidian feature in modern gaming. But that doesn’t mean the players should expect the standard World of Warcraft–type of massively multiplayer gaming experience, with gamers meeting up in-game up and performing quests. Again, think of the scale. Talking about the size of the game at the recent E3 Electronic Entertainment Expo, Murray said, “What we’re dealing with is planet-size planets. So, even just one planet, if a million of us played, we would still be really far apart. So, scale that up to a universe — it’s actually really unlikely that you and I are going to meet.” No Man’s Sky is a game that you could conceivably never finish playing, full of planets you will never fully explore. Murray has been cagey about the nuts-and-bolts details of No Man’s Sky’s gameplay. How does combat work? How does the economic component work? How does the player level up his or her ship? How are missions structured? Are there even missions as gamers understand them? These questions are unanswered. But, honestly, I don’t care. I’m just ready to go to space. That’s the thing about aiming for the stars. Even if you get only part of the way there, you’ve still gone farther than you ever imagined. Is the New ‘Teenage Mutant Ninja Turtles’ Rap Even Worse Than the Original One?